EDINBURG — The public school district is joining most of its neighboring districts in opening its classrooms to universal open enrollment. Edinburg school districts will begin the 2018-2019 school year with a new policy in which they will welcome students from other district lines for the first time. In previous years, the school district had been inching toward this move by first opening enrollment to their own staff who lived outside the city of Edinburg; they later approved to widen that range to those who live outside the city but whose parents own businesses in Edinburg; and later a move to open enrollment only to those willing to pay tuition was also approved. This latest decision removes all restrictions and fees, completely opening the enrollment to any qualifying student. Qualification will be based on student’s academic standing, Gutierrez said, including attendance, discipline and grades, but anybody interested in attending the district schools and willing to provide transportation is encouraged to apply as registration is still open. Decreased enrollment, especially in the lowest grade levels — pre-K through 2nd — is what led the district to propose open enrollment to the board of trustees, which approved the move during a special meeting on July 25. This decrease has been steady, Gutierrez said, over the last three to five years. The school district reported a total enrollment of 34,156 students for the 2017-2018 school year, in comparison to the previous year of 2016-2017 where enrollment was reported at 34,680. 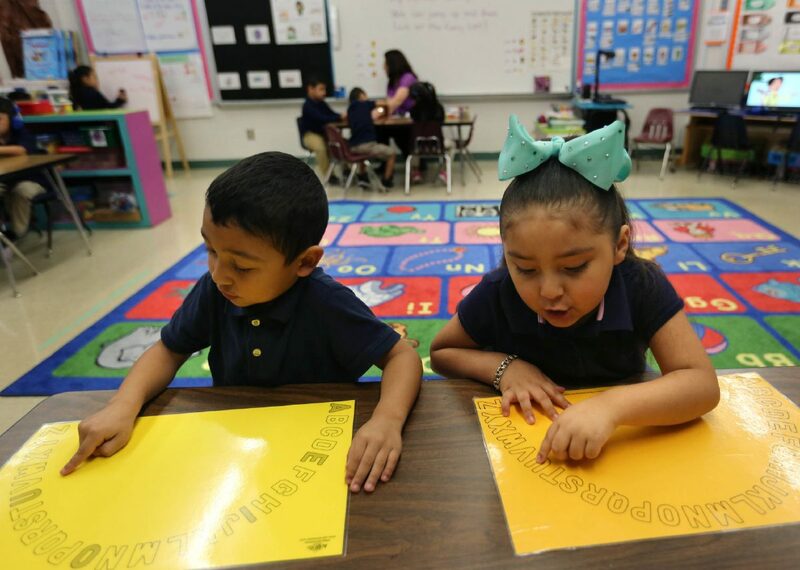 The largest decrease in these last couple of years were seen in pre-K through 2nd grade as they lost about 566 students in these grades alone, according to data reported to the Texas Education Agency. Similar to many of Edinburg’s neighboring public school districts, Gutierrez attributes the decrease to a growing competition for students brought upon by charter schools and an increase number of open enrollment policies in most districts across the area. The tuition-based program previously used to solely for open enrolment was not popular, he said, considering most parents would rather go to any other charter school or open-enrollment school district rather than paying tuition. This time, the district did not set a cap for the number of students to be accepted from outside its lines, but will prioritize filling the spots in the lower grades with more openings, Gutierrez said. This initial year will be used as a measure to discuss guidelines for future years. School begins Aug. 27, and Gutierrez said that even if there is only one month left, the process of applying and registering for out-of-district students should be simple and quick to get them ready for the school year. Those interested are being encouraged to contact Assistant Superintendent of Support Services Dr. Mario Salinas at (956) 289-2300.